Helen E. Green, age 85, formerly of Gambier, passed away November 27, 2018 at the Country Club Retirement Campus. She was born January 26, 1933 in Gambier to Walter and Dessie (Ashburn) Tier. 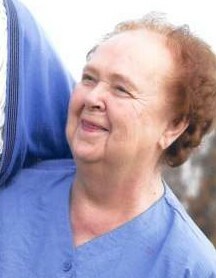 Helen was a long time member of the Grove Church of Christ and a member of the Harrison Grange. She was employed by the post office in Gambier where she retired from in March 2000. Helen is survived by one daughter Rebecca Green of Gambier, one son Jeff (Jayne) Green of Wilmington, Ohio; 10 grandchildren, 15 great-grandchildren, and two great-great grandchildren; three brothers Dale Tier, Harold (Nancy) Tier and Earl Tier; two sisters Ruth Johnson and Alice (Paul) Smith. Besides her parents she was preceded in death by her husband Roy Green, one daughter Donna McLaughlin, and grandson-in-law Matthew Remillard. Friends may call at the Lasater Funeral Home, Friday November 30, 2018 from 6:00-8:00 PM. The Funeral Service will be held on Saturday at the Grove Church of Christ beginning at 11:00 AM with Mr. David Dalhstein officiating. Burial will follow in Union Grove Cemetery. Memorial Contributions may be made to the Grove Church of Christ.